If you are getting close to celebrating six years of wedded bliss, and you’re panicked on what to get for your other half, fear not. We’ve pulled together some of the best iron anniversary gift ideas for either him or her. 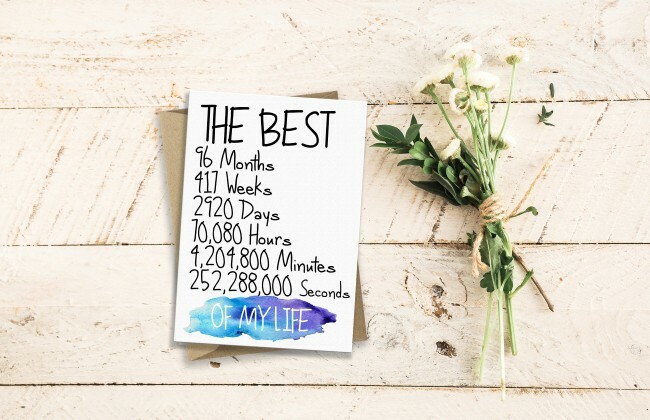 ​The big wedding anniversary milestones seem to get the most attention ​and and biggest ​presents! 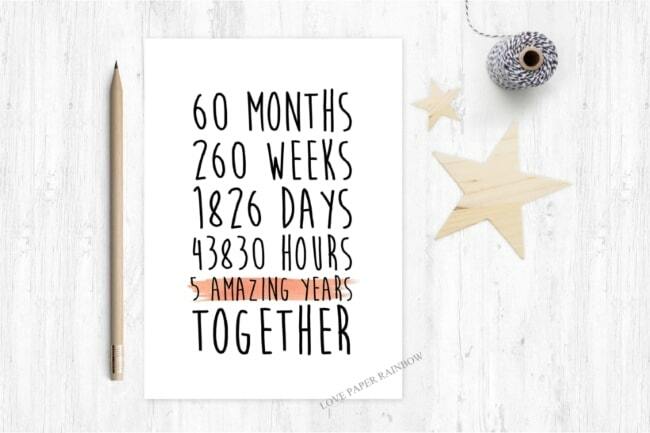 But we believe that EVERY wedding anniversary deserves to be special and unique. Anniversaries are a time to celebrate​ the union you have built together. 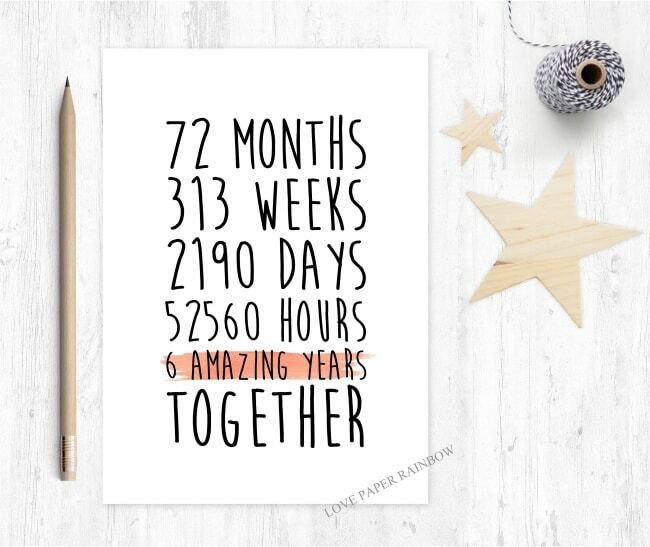 ​After all, 72 months of marriage is a big accomplishment that deserves ​recognition. First, let’s briefly discuss what the sixth anniversary traditional gift (iron) is all about. Traditionally, the sixth-anniversary gift is iron. Why iron as a gift? Well, iron has been an important metal throughout civilization. Some believe it represents a strong bond between partners that is very difficult to break. 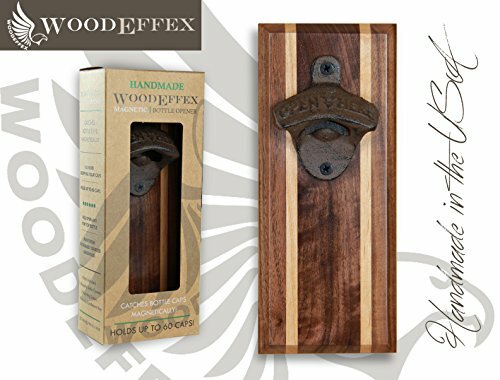 It makes sense to give such an enduring, long lasting, or practical gift for the home. ​Modern lists mark the sixth anniversary with candy or chocolate – hello, now your talking our language! Maybe just drop a few hints that your significant other should consider buying both candy and iron to make sure we cover all bases in this special anniversary year. Calla Lily: the elegant, slender calla lily flower is the traditional flower for a 6th anniversary. It is unlike any other and symbolizes all the ways that each partner’s love has grown over six years of marriage. The calla lily is thought to posess a magical light source inside that radiates upwards – a great analogy for reflecting upon six years of marriage together. Amethyst: The traditional gemstone for a 6th anniversary is a calming stone that helps promote calm, balance, and peace. Celebrate by giving her unique iron gifts for the home, or something special just for her. Real roses give off a fragrent smell and look good for a week or two, and then wither and die. 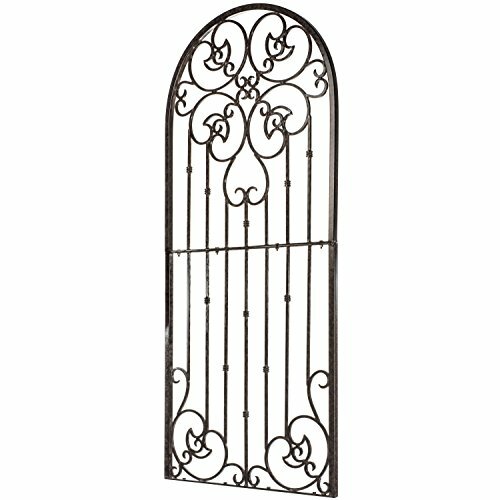 As an alternative, this forever rose is handmade in the UK from wrought iron and will last a very long time. We can see how including this black iron rose in thje right floral arrangement would look stunning as a home decor piece! Do you remember your childhood and the first time you had fondue? We certainly do. Such a novel way to enjoy dinner among family and friends – chatting, laughing, and fighting over whose fondue fork is whose. 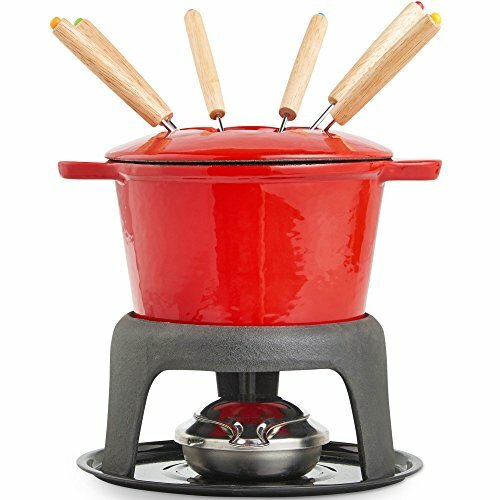 Nostalgic and functional, a fondue set made from cast iron is a great anniversary gift for a couple (not just him/her). Cast iron is known to last a longtime in the cookware world, so you’re getting good value for money with this set. Comes with 6 colro coded long stemmed forks. This handcrafted iron planter with antiqued bronze finish looks sleek and slender. Could work equally well indoors as outside as part of a patio set. Place a lovely plant inside and you are good to go! We just love the look of this rustic hammered iron bowl. As suggested on C&B’s website, this bowl is best for serving breads, crackers or other dry, non-acidic foods. However, we think it could work equally well as a decorative piece filled with seasonal gourds, flowers, or other such decor. 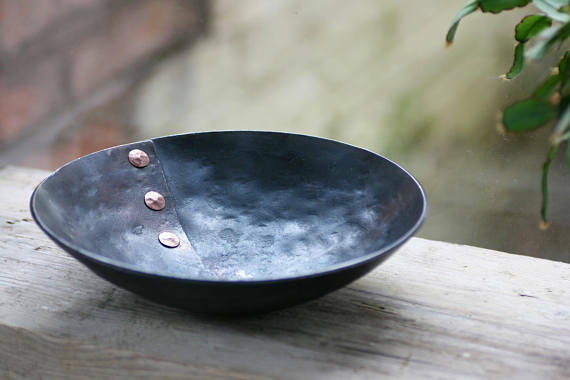 Unique handmade bowl that has been shaped by repeated heating and hammering using traditional skills and tools. She can use it to store everyday jewelry or even in the front hall as a key/change dish. Any horse lovers out there celebrating a 6th anniversary? 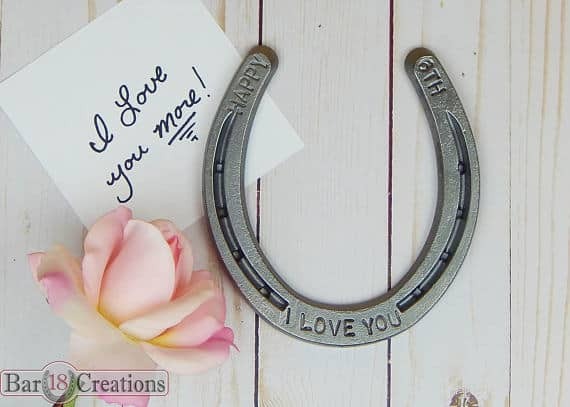 A custom stamped horseshoe might just make her anniversary day. Okay, maybe not the most romantic gift (pair it with chocolates though! ), but this trellis certainly is functional, decorative, and would look amazing in many backyard settings. For the gardening gal who already has all the tools of the trade, this long lasting iron trellis is a wonderful gift idea. Digital books are great, but we still prefer snuggling up with a good paperback. Affordable and customizable, each iron bookmark is hand made by 5-star Etsy seller Coach House Forge using hammer & anvil to make a truly unique, one-off item. We can’t get enough of this Etsy seller’s wonderful iron products. Lovely looking decorative iron bowl that could be used for a variety of purposes. You can’t go wrong with an anniversary jewelry gift for her. 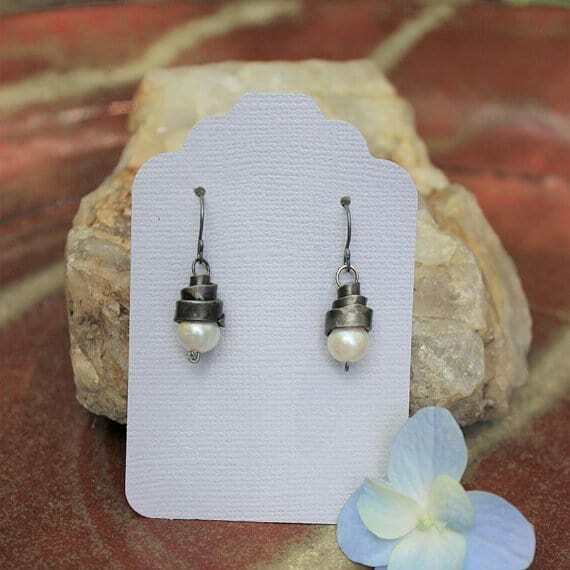 Lots of happy customers for this Etsy seller and her iron and freshwater pearl earring creations. A gift made of iron that is just for him? Guys who love their manly, metal stuff will think they’ve died and gone to anniversary gift heaven! Many guys like to cook and craft gourmet meals, and to make sure he’s able to cook at his best he needs oustanding tools. 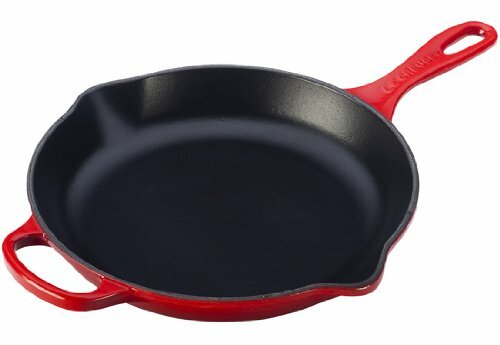 A lot of chefs swear by cast iron cookware. With that in mind, we think this is quite possibly the perfect gift for the budding gourmand. Check out our in depth review of the Le Creuseet skillet here. So technically this gift is made from glass, but it does have iron as the central theme! A neat frosted glass idea with personalized message option. The man cave just isn’t complete without a bottle opener. This handmade walnut with alder inlay and iron design is both functional and good looking. 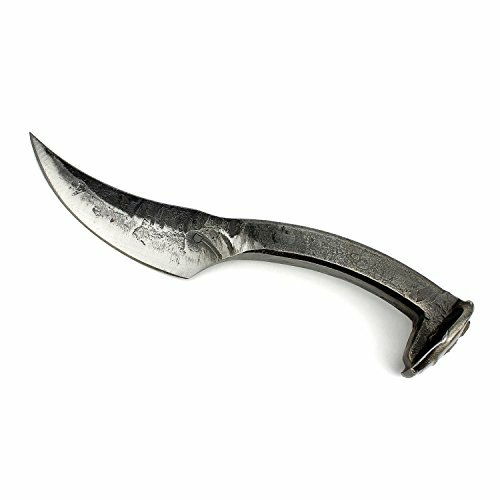 A forged knife with wire brushed finish and natural wax coating, made from a railroad spike. Nuff said. An obvious gift choice as a unique gift for a hunter, fisherman, or just someone who collects knives. 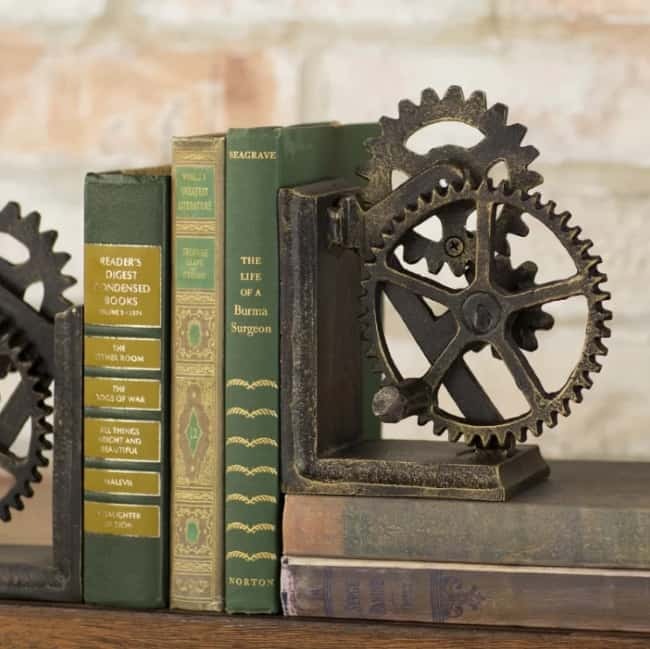 With its steampunk feel and industrial chic look, we can imagine a lot of interior design or office settings for these iron book ends. Lots of guys have a collection of books (big or small) that could be displayed in a unique way. Bookends may seem old fashioned, but we really like the look of this old style made new again. 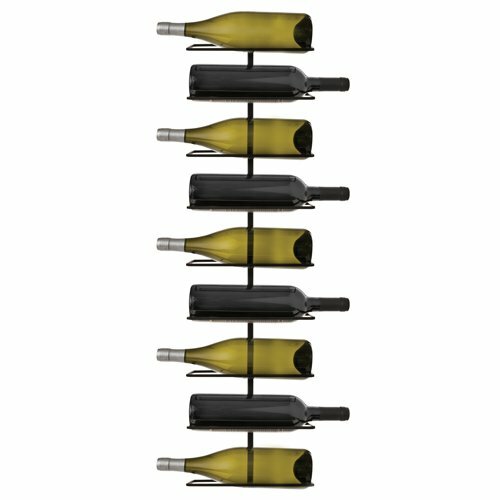 An iron wine rack is a must have for those who want to display their wine collection in a stlyish way. We highlited this Etsy seller above, and had to put them on the list again with this neat iron name plate. Personalized the way you want, it makes for a nice gift that he can take to the office/studio. We love a good round of Yahtzee or other board games now and then. 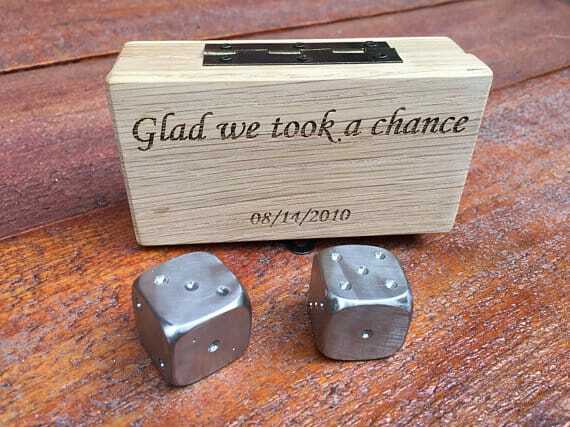 So when we saw these crafted iron dice, our gift-o-meter went up. Lot’s of guys (and gals) enjoy playing dice based board games. These seem like a nice gift that would get a lot of usage for years to come. Maybe it is time for new lighting in your kitchen or living room? 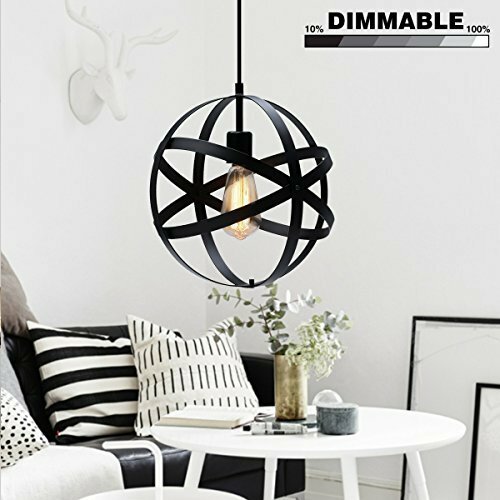 This iron light fixture has an industrial vibe suited to a variety of interior design aesthetics. 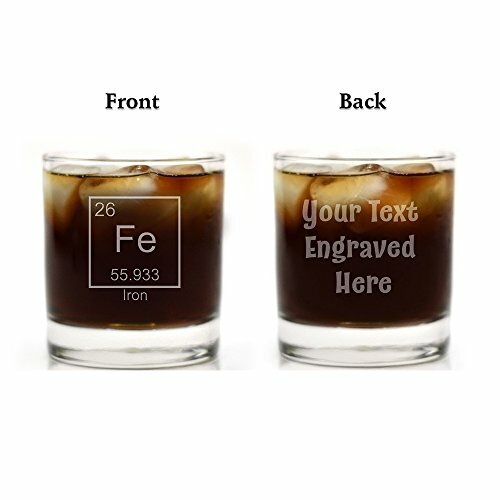 We hope you’ve gotten some solid iron gift ideas for your anniversary. Congrats and all the best for your 6th year celebrations!